Shuffle 3 Pendulum Monsters into the Deck, from your GY and/or face-up from your Extra Deck, then draw 2 cards. 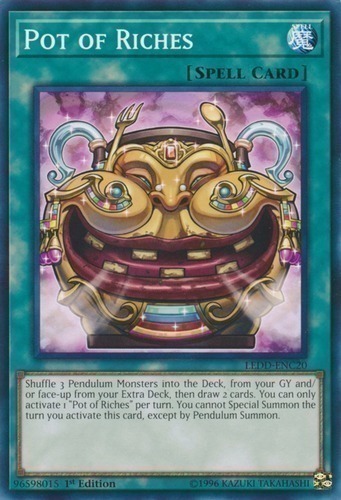 You can only activate 1 "Pot of Riches" per turn. You cannot Special Summon the turn you activate this card, except by Pendulum Summon.